Carnauba ( or , carnaúba, Portuguese pronunciation: ), also called Brazil wax and palm wax, is a wax of the leaves of the palm Copernicia prunifera (Synonym: Copernicia cerifera), a plant native to and grown only in the northeastern Brazilian states of Piauí, Ceará, and Rio Grande do Norte. It is known as "queen of waxes" and in its pure state, usually comes in the form of hard yellow-brown flakes. It is obtained from the leaves of the carnauba palm by collecting and drying them, beating them to loosen the wax, then refining and bleaching the wax. Carnauba consists mostly of aliphatic esters (40 wt%), diesters of 4-hydroxycinnamic acid (21.0 wt%), ω-hydroxycarboxylic acids (13.0 wt%), and fatty acid alcohols (12 wt%). The compounds are predominantly derived from acids and alcohols in the C26-C30 range. Distinctive for carnauba wax is the high content of diesters as well as methoxycinnamic acid. Carnauba wax is sold in several grades, labeled T1, T3, and T4, depending on the purity level. Purification is accomplished by filtration, centrifugation, and bleaching. Carnauba wax can produce a glossy finish and as such is used in automobile waxes, shoe polishes, dental floss, food products such as sweets, instrument polishes, and floor and furniture waxes and polishes, especially when mixed with beeswax and with turpentine. Use for paper coatings is the most common application in the United States. It was commonly used in its purest form as a coating on speedboat hulls in the early 1960s to enhance speed and aid in handling in salt water environments. It is also the main ingredient in surfboard wax, combined with coconut oil. Because of its hypoallergenic and emollient properties as well as its shine, carnauba wax appears as an ingredient in many cosmetics formulas where it is used to thicken lipstick, eyeliner, mascara, eye shadow, foundation, deodorant, various skin care preparations, sun care preparations, etc. 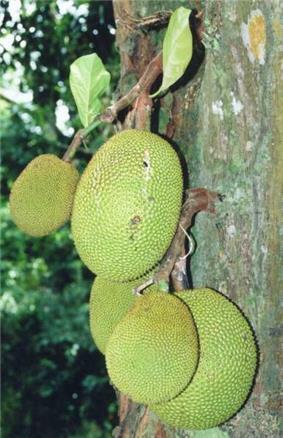 It is also used to make cutler's resin. It is the finish of choice for most briar tobacco or smoking pipes. It produces a high gloss finish when buffed on to wood. This finish dulls with time rather than flaking off (as is the case with most other finishes used). Although too brittle to be used by itself, carnauba wax is often combined with other waxes (principally beeswax) to treat and waterproof many leather products where it provides a high-gloss finish and increases leather's hardness and durability. It is also used in the pharmaceutical industry as a tablet-coating agent. Adding the carnauba wax aids in the swallowing of tablets for patients. A very small amount (less than a hundredth of one percent by weight, i.e., 30 grams for a 300 kg batch) is sprinkled onto a batch of tablets after they have been sprayed and dried. The wax and tablets are then tumbled together for a few minutes before being discharged from the tablet-coating machine. In 1890, Charles Tainter patented the use of carnauba wax on phonograph cylinders as a replacement for a mixture of paraffin and beeswax. 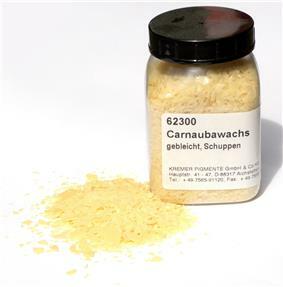 Carnauba wax may be used as a mold release agent for manufacture of fibre-reinforced plastics. An aerosol mold release agent is formed by dissolving carnauba wax in a solvent. Unlike silicone or PTFE, carnauba is suitable for use with liquid epoxy, epoxy molding compounds (EMC), and some other plastic types and generally enhances their properties . Carnauba wax is not very soluble in chlorinated or aromatic hydrocarbons. Carnauba is used in melt/castable explosives to produce an insensitive explosive formula such as Composition B, which is a blend of RDX and TNT. In 2006, Brazil produced 22,409 tons of carnauba wax, of which 14% was solid wax, and 86% was in powder form. There are 20-25 exporters of carnauba wax in Brazil who buy the carnauba wax from middlemen or directly from farmers. The exporters refine the wax before exporting it to the rest of the world. The four largest exporters of carnauba wax are Pontes, Brasil Ceras, Foncepi, and Carnauba do Brasil, who together account for around €25 million of the export market. Melting point: 82–86 °C (180–187 °F), among the highest of natural waxes, higher than beeswax, 62–64C. It is among the hardest of natural waxes. It is practically insoluble in water, soluble on heating in ethyl acetate and in xylene, and practically insoluble in ethyl alcohol. ^ Steinle, J. Vernon (September 1936). "Carnauba wax: an expedition to its source". Industrial & Engineering Chemistry 28 (9): 1004–1008. ^ Parish, Edward J.; Terrence L. Boos; Shengrong Li (2002). "The Chemistry of Waxes and Sterols". In Casimir C. Akoh, David B. Min. Food lipids: chemistry, nutrition, and biochemistry (2nd ed.). New York: M. Dekker. p. 103. ^ Uwe Wolfmeier,Hans Schmidt, Franz-Leo Heinrichs, Georg Michalczyk, Wolfgang Payer,Wolfram Dietsche, Klaus Boehlke, Gerd Hohner, Josef Wildgruber "Waxes" in Ullmann's Encyclopedia of Industrial Chemistry, Wiley-VCH, Weinheim, 2002. doi:10.1002/14356007.a28_103. ^ Apps, E. A. (1958). Printing Ink Technology. London: Leonard Hill Books ltd. p. 86. ^ , Report on the production of carnauba wax. Carnauba Wax Background Paper - published report from field work.